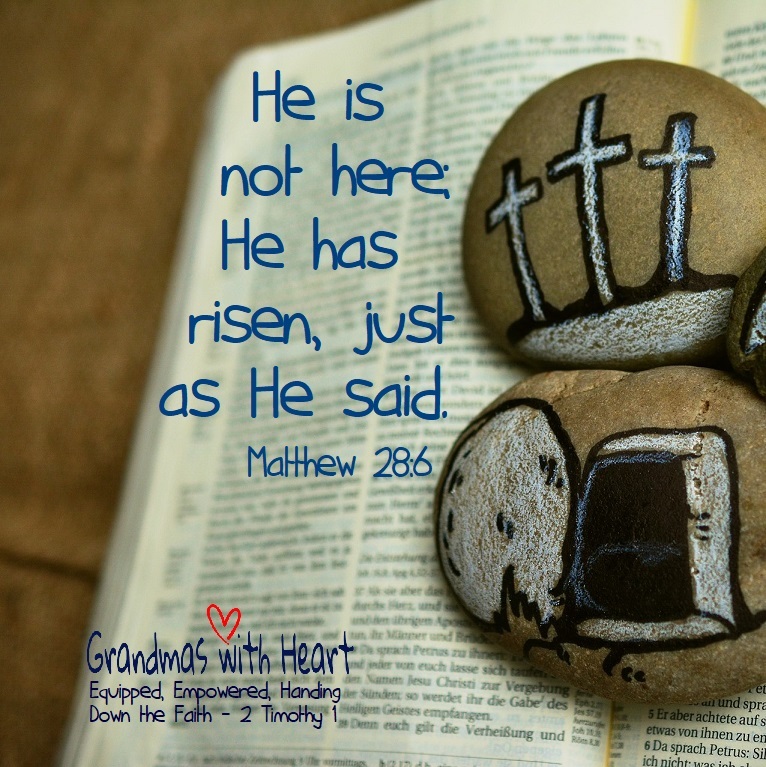 grandma's cookie jar: He is Alive! 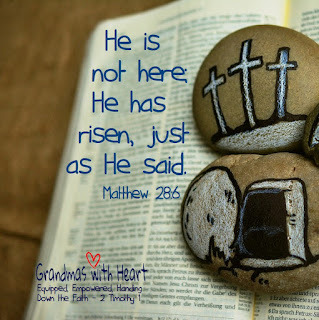 This is the truth upon which we build our faith - Jesus is not still in a tomb; He rose, just as He said He would do! Because of this, we are able to receive God's grace and His forgiveness for our sins. So, today, whether you spend time with family or not, take time to thank Jesus for His amazing gift and share the Good News with those you love! How Will You Be Known & Remembered? Be a Grandma with Joy & Laugh Lines! Who Are You? Please Take Our Poll! Grandparent on Purpose - It Matters! Be Sure Your Grandchildren Know they are Lovable! Hugs are Good for You!